Cary M. Maguire, Chairman and President of the Maguire Oil Company and Maguire Resources Company to receive the President’s Award from The American College in honor of his many years of exemplary service, leadership, and contributions to the field of ethics education. Cary M. Maguire is the Chairman and President of the Maguire Oil Company and Maguire Resources Co. In recognition of his unflagging support and dedication to academic research into the production of honest and transparent financial statements, The American College, the nation’s premier financial services educator, will honor Cary M. Maguire, Chairman and President of the Maguire Oil Company and Maguire Resources Company at the first ethics lecture to bear his name. Maguire will receive the President’s Award in honor of his many years of exemplary service, leadership, and contributions to the field of ethics education during the Cary M. Maguire Ethics Lecture at the Park City Club in Dallas, Texas on June 2, 2010. Cary M. Maguire is the Chairman and President of the Maguire Oil Company and Maguire Resources Company. He is also Chairman of the Components Corporation of America and Staco Systems. Maguire has served on the National Petroleum Council and the Executive Committee of the Mid-Continental Oil and Gas Association. He is also a member of the Madison Council of the Library of Congress, where he funded the Maguire Chair in Ethics and American History. 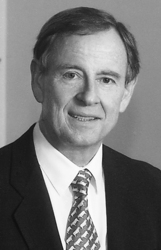 Dr. Catanach has been with Villanova University since 1998. He previously served on the faculty at the University of Virginia and also has taught as a visiting faculty member at INSEAD in Fontainebleau, France. Prior to entering academics, Catanach spent five years as an audit manager for KPMG and six years in the financial services industry as a funds management officer, chief financial officer, and chief operating officer for several large bank holding companies, where he specialized in merger and acquisition transactions. Individuals interested in attending the Cary M. Maguire Ethics Lecture at the Park City Club in Dallas, Texas on June 2, 2010 featuring the presentation by Dr. Catanach are asked to register in advance online by clicking here For more information, please contact Katie McDermott at The American College at 610-526-1406. The event will run from 12:00 p.m. – 2:00 p.m. The mission of The American College Center for Ethics in Financial Services is to assist in raising the level of ethical behavior in the financial services industry. The Center also aims to serve as a catalyst for professional and responsible behavior by providing information to multiple stakeholders, moderating dialogue among various constituencies, and influencing behavior through a diverse array of programs. The initiatives sponsored by the Center are designed to launch business leaders, producers, and educators into conversations that will influence ethical business practices, and in turn, enhance business practices, ethical awareness and legislation. The American College is the nation’s largest non-profit educational institution devoted to financial services. Holding the highest level of academic accreditation, The College has served as a valued business partner to banks, brokerage firms, insurance companies and others for over 83 years. The American College’s faculty represents some of the financial services industry’s foremost thought leaders. For more information, click here .